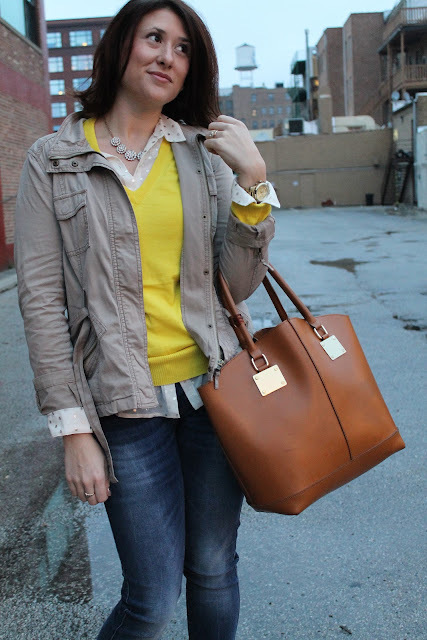 I often wonder what I would be wearing if it weren't for inspirations from other bloggers. 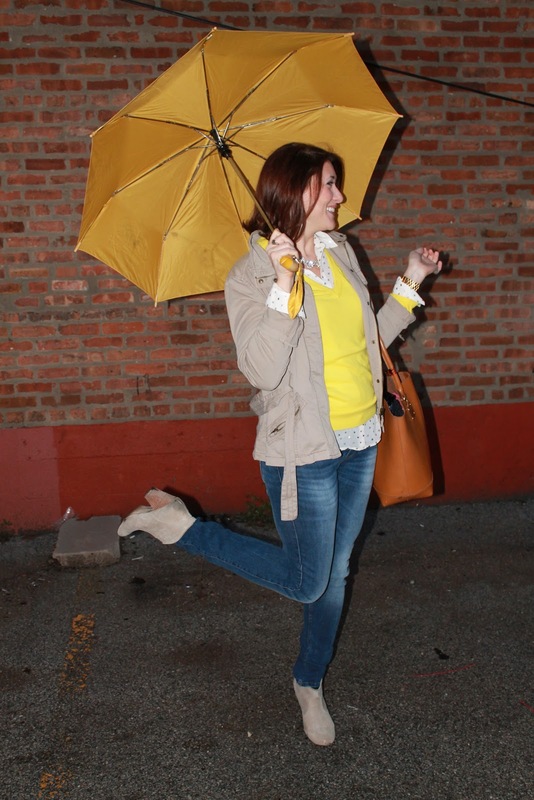 This idea for incorporating more lemon yellow into my wardrobe was from fellow Chicago blogger over at See Jane. What better day to carry my yellow duck umbrella? Spring apparently was back for a day, that's why I only needed this spring jacket. You just made me realize I own zero yellow clothing items! Must fix that.. This outfit is cute, that color looks great on you!